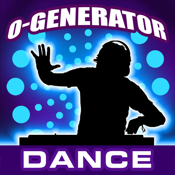 O-Generator Music Maker is an App that can be used as a musical sketchpad to make music, compose, learn, create and develop ideas in different styles whatever your musical level. There are more O-Generator packs coming your way, including; Urban and Acoustic. Why not let us know what you would like.